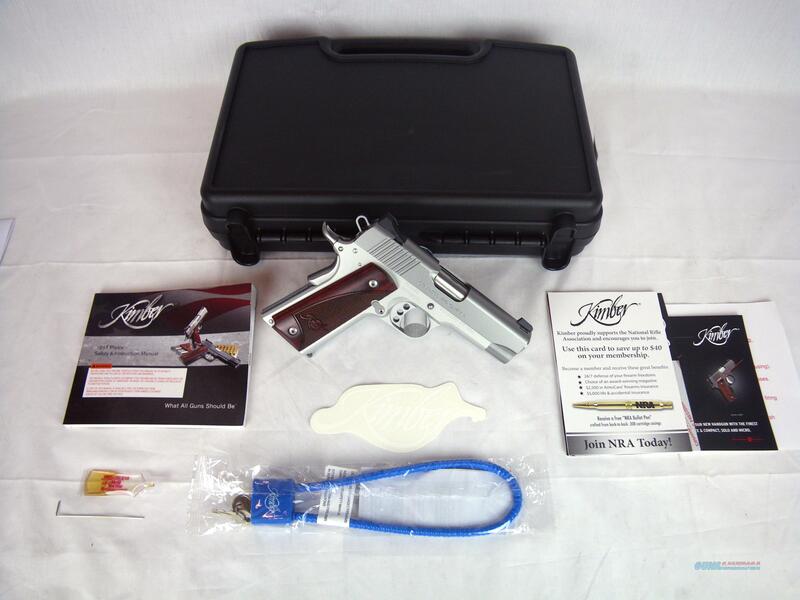 Description: You are bidding on a new Kimber Stainless Pro Carry II in 9mm with a 4" barrel. The chamber and barrel on this handgun are machined from solid stainless steel to critical match grade dimensions. It also includes a three-hole match grade trigger. The beveled magazine well ensures quick and positive reloading. The rosewood grips feature the Kimber logo engraved with the checkering. Displayed images are stock photos. Any questions please feel free to ask (our phone number is in the additional information tab above).